Regardless of what business you are in, it is probably a good idea to join an association of like-minded professionals. The Fleet Management industry is no different. By being part of an organization that helps to educate, connect and promote what you do, you can grow to become a better fleet manager, maintenance provider or operations manager. Here at Fleetio, we have compiled a list of national and international associations that you might be in interested in joining. The NAFA Fleet Management Association is considered by most to be the premier organization for fleet-related professionals. They cater to a diverse array of locations, interests as well as job roles. 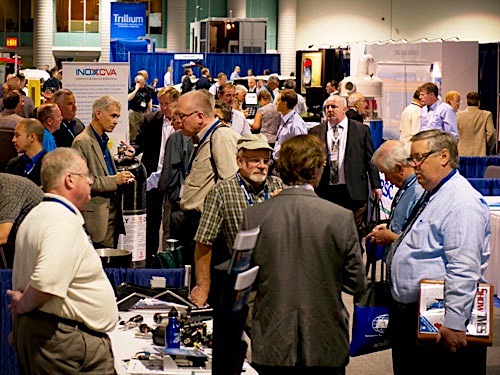 From their website: "NAFA provides its members with a full range of products and services, including statistical research, publications, regional chapter meetings, government representation, seminars, online information, and an annual Institute & Expo." As you might infer from the name, this association is designed for Fleet Managers who have involvement in a governement-related role, whether that be on a national, regional or local level. From their website: "Our intent is to promote cost effective fleet management policies, procedures and techniques among our members through technical and managerial education and training." Like the MFMA, the Public Fleet Managers Association (PFMA) is specifically for governmental Fleet Managers. The current membership is comprised "over 100 executives in Fleet or Equipment organizations from State, Provincial, County, and City agencies." The Automotive Fleet & Leasing Association (AFLA) is a forum dedicated to improving communication between sellers, buyers, fleet managers, lending institutions, fleet management companies, used vehicle marketers, and allied automotive service companies. For those of you who are in the Automotive Service Industry, we have some trade organizations for you as well. Here are a few that you might be interested in. The Automotive Maintenance & Repair Association (AMRA) is a "trade association formally organized September 1994 to represent the interests, common policies and purposes of companies engaged in providing automotive maintenance and repair services, their suppliers and related companies in the automotive industry when dealing with consumers." The Automotive Service Assocation (ASA) is an international organization devoted to "Advancing Professionalism and excellence in the automotive service industry." ASA is actively in tune with political legislation and includes a wide variety of owners and managers of automotive service companies. The Automotive Parts and Service Association (APSA) serves all aspects of the automotive aftermarket industry. From their website: "The mission of the Automotive Parts & Services Association is to be the leading and most aggressive trade association dedicated to providing fair and ethical representation for businesses within the Automotive Aftermarket Industry."